New Hope Community Church (NHCC) seeks to share the good news of Jesus, teach His word, love His people and live His compassion. God's Little Creations Preschool and New Hope Christian School are both ministries of New Hope Community Church. 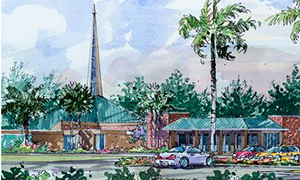 For more information about New Hope Community Church, please visit their website at www.nhccftl.org.